I have 2 major hobbies; Classic movies, and shooting. 1.Classic Movies ; Everyone thinks I'd rather watch a old Black & white move then a new one, their right in many cases, However, its much more then, many of the old movies I like , are considered classic by most people, such as Casablanca, and many others I could name here, But its also about the rich history of both movie & television and it in many ways tells the story of our country, and the moves of a era often define what was going on at the time. So its much more then just good movies too. 2. Shooting; I have always liked guns, both for their practical uses, hunting, sport, and even as a means of self-defense, should the need ever arise, Hopefully it never will. But as with Movies there's much more to it. Guns are a part of the American way of life, Our country was born through the use of guns, For many decades afterwards, they were the main way people feed themselves and their families. and in many cases defended themselves against the dangers of their time, both 4 legged, and 2 legged. 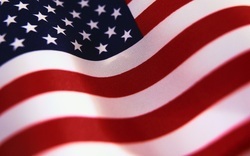 Today; They are much more, they are a symbol of our freedom, freedom to live as we please, and to keep ourselves safe. There's also the guns themselves many of them are models of technical engineering. Some of the greatest guns we use today, were designed 100 years ago. While there have minor modification, and upgrades to the platforms they are still basically unchanged for 100 years, Because they work and are now loved by people all over the world as classic firearms So again its not just about shooting, I love shooting them, but its also about the history of our country, the the definition of us as a nation. Our country has at least two things that identifies itself in the world. The two major things being Our Movie Industry and our Second Amendment, thus our right to keep and bear arms. As I said earlier, firearms are a integral part of our history going back to the Revolutionary War, Civil War, and the many other times we've been called to arms since then. The same with our movie industry. The world sees Hollywood as the movie capital of the world. Beginning in the late 1800's when movies were developed and promoters realized that could make money running theaters to show them in, and people would pay a nickle or a dime to see a movie, they quickly developed the forerunners to what eventually became the movie industry we have today. many of theses early pioneers created what toady are the largest studios we have toady, Warner Brothers, Columbia , to name a couple. The same thing in the Firearms industry. John Browning created a number of guns that are now considered classics today. 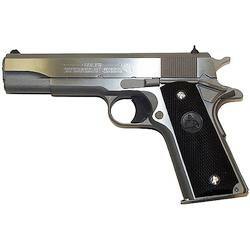 The Colt 1911 developed in the early 1900's and carried by the US Army from WWII, until the mid-1980's when it was replaced by the Beretta 9mm. 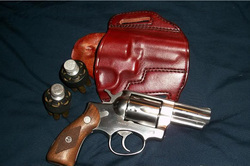 Which is a smaller round then Colts 1911 which fired a larger .45 caliber round. 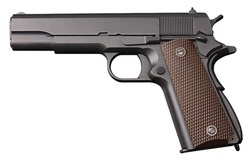 For just over a 100 years the 1911 platform has been made, with almost no changes, sure, a few tweaks here and there, but its essentially the same gun John Browning designed 100 years ago. The movie industry has changed so much in the last 100 years. The early pioneers wouldn't recognize it any more. However, whats remained , in spite of all the changes over the decades is the core; The story must come first, No natter what special effects, or stars, or director, etc, if the story isn't compelling then there's no movie. Think about all of the movies that are considered classic today, many of them are in black & white, , then whats so compelling about them? Its the story and the characters. The movie industry has changed so much in the last 100 years the early pioneers wouldn't recognize it any more. However, whats remained , in spite of all the changes over the decades is the core; The story must come first, No natter what special effects, or stars, or director, etc, if the story isn't compelling then there's no movie. Think about all of the movies that are considered classic today, many of them are in black & white, , then whats so compelling about them? Its the story and the characters. Both the industries, Movies, and firearms are tied into our culture and our ways of life like no other industry. Movies are a window on our history, to show where we've been in some case where we're going. Firearms are a symbol of independence and also a integral part of many of our classic movies, particularly westerns and detective movies. To understand either of them its important to study our history as a nation, and as individuals who love both. This weekend was the 143rd annual convention for the NRA. The attendance count I saw today was 75,000 plus over three days, Friday, Saturday, Sunday. To say yours truly would have loved to be there, is a understatement. But , beyond the press, or in many cases lack of it, and numbers, and shooting stars of the industry who showed up there, Theres is the real power of the NRA, and America, The people, 75,000 of them coming from all parts of the country,and I would expect even the world. Everyone got along fine and regardless of their entry into the shooting sports, and why they shoot, be it, recreational, sport, competition, or for self-defense, the main theme is we all enjoy shooting, and we believe in our right to keep and bear arms. for any or the reasons listed above, or a combination of the reasons listed above. There were over 75,00 people at the NRA for the convention. Bloomberg paid to have a handful of anti-gun supporters outside, protesting. The operative word there is "paid" he paid their expenses to get there, probably their hotels etc. None of the attendees at the NRA conventions were paid by the NTRA to show up. They came on their own accord, and paid their own way. transportation, hotels, and food, etc. I'm not going to deny the convention brought in a lot of money for the local area, which is well and good, It should. But any convention dose that. I find it interesting how many people seem to not see or ignore the solutions to the problems they're to solve. There are solutions our violence problems. a danger to himself or others should definitely be denied a gun through legal channels. thus reducing casualties, thus stopping the event sooner. Be it a school, college, or other place where large numbers of people gather is a prime target. So have armed security on site is essential. sheriffs saying they have NO PROBLEM with citizens carrying as long as they have their permit. Florida alone has over 1 million ccw holders. My research show about 279,000 permit holder her in Virginia. There was a recent book by a retired supreme court judge, in which the judge proposed changing the wording on a number of our bill of rights, the second amendment being one of them. Changing any amendment of our constitution is something the country needs to to think long and hard about. The founding fathers wrote it the way they did for a reason. They knew very well what could, and would happend if the government got to powerpuff and invasive in its peoples lives. You will notice that the first few articles of the bill of rights say, Congress Shall Not make any law that infringes on rights listed in the article. Essentially limiting the right and power of congress in that area. The reports I've seen of the show say it was a rousing success. 75,000 vastly different people from all walks of life meeting to learn and talk and acknowledge their difference, which is is only in the type of shooting or gun they use, united by their love of guns, and the shooting sports, and the shooting community. One last thought; for all of the anti-gun protester; How many of you have ever had to defend themselves? What do you think all of the people who had defended themselves over the years, would think of the thought of just letting themselves be killed because they didn't have a means to defend themselves? This country was founded on the idea that all men are created equal, and certain god given rights were endowed, to each of them, among them, the right to life liberty, and pursuit of happiness. To that end , the founders created the Bill of Rights setting out the boundaries for our government for generations to come. For over 200 years it has worked pretty good, with a few minor exception and changes. However, over the last 50 years or so there has been a slow but subtle movement to weaken our second amendment, the rights to keep and bear arms. Over the last couple of years the forces that would see law abiding citizens become essentially victims of every criminal looking for a quick easy score, have become more vocal, and active, and brazon. Michael Bloomberg's "Mayors Against Illegal Guns is a front for his effort to disarm America. The number of mayors who have left the group after finding out what's its really about is getting higher regularly. Also there have been a number of elections in which the candidate who didn't support MAIG group won by a landslide, that goes for sheriffs too. This should be a call to action to all American who believe in the Constitution, that is is our ultimate rule of law, or the country. All other laws and rules passed by the government and states should support it, and do NOTHING to undermine it.Any official from mayor or senator, or representative or governor, or president who works to undermine the Constitution, and Bill of Rights is committing treason. When they took the oath of office, the promised to protect the country from ALL enemies both foreign and domestic. By proposing bills and supporting bills that limit and tend to make it harder for law abiding Americans to exercise their god given rights, they are committing treason, and as such should be tread as traitors. Call your senators and house of representative and let them know you demand investigation and prosecution of oficials who are trying to dismantle the Constitution and the Bill of Rights. Colorado Recall Election: Wakeup Call for the Citizens or the Government ? Yesterday,September 10, 2013, was a very important day or America. Not that Today, September 11th isn't either but for many different reasons. Yesterday, in the state of Colorado, the Democratic system of government, for the people, by the people worked. After the state legestraviers pushed through a number of unreasonable and in many cases, just plain unenforceable gun control bills, earlier this year. And despite, statewide grassroots objections to these new laws, they were enacted. literally under the objections of the thousands of people who showed up to make their voices heard. Two of the main proponents of the bills were recalled. The polls closed late last night in Colorado, when the dust settled, they went home with no jobs. 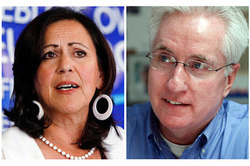 Senate Majority Leader John Morse, and State Senator Angela Giron, both had been under attack for months for their anti-gun and their leadership roles in the passing of what many consider to be unconstitutional bills, at the very least, their complete disrespect for the constitution and the bill of rights, and the people who put them in office. The recall began as a grassroots efforts but folks who had never been politically active before, I don't believe that the gentleman who started this ever dreamed that it would ever come to this. However, it quickly took on a life of its own, and soon, its became a matter of principle as much as a recall election for two senators, It has become a referendum for all governing bodies from city to state and on up, that the people who YOU work for are sick and tired of being told what they can and cannot do, particularly in relation to their Constitutional rights. Other points of Note; The backers of the senators had mega bucks coming in from out of state, notably NY, Michael Bloomberg and his "Mayors against Illegal Guns" To the tune of around 350,000, plus I'm sure there were other donation we never heard about. They didn't get their moneys worth. On the Pro-recall side, it was essentially a shoestring budget, with the most coming from the NRA. which to me seems, fair, if Bloomberg & co, and throw in 350,000, then the NRA should be able to throw in a measly 50,000. In the end, it boiled down to who had the most passion for their cause. Obviously the recall side did, their passion, and never say die attitude against odds that seemed unreal, probably at times, won the day. While many consider this a large symbolic election, as at least for nor now most if not all of the laws that started the issues will stand. Although there is a suit by the Colorado Sheriffs association to have the laws overturned, we all know how long that can take, Meanwhile, there's another election in 2014, so let this be a wakeup call for senators and representatives of Colorado, and many other states with election coming soon, the people of their districts/ states are no longer willing to be lead around by the nose anymore, and are deciding its time again to stand up for the Constitution, and our Bill of Rights. I was not going to write anymore articles for this section of blogs, but I felt that this was too important to ignore, and it needed discussing. If you have any comments or question about this article ar any of my articles feel free to use the contact form, or post you ideas here. My wife says I’m gun crazy. But I’m not, I’m Constitution Crazy. While I’ve had a lifelong interest and fascination and respect for firearms, their many uses as a tool, mostly for good and sometimes for evil. The history of this country is inextricably linked to firearms, and their uses for both defense of of the country and for sporting, and hunting. In many respects we would not be the country we are today without the firearms. The defense of the free world rested on the millions of brave soldiers from all over the world who took up guns and defended the rights of all free nations to exist in World War II. The vast majority of the guns used in that great defense were made here. Some of the most iconic firearms in the world were developed here. Many of the basic designs by John Browning are still in use today, many have been tweaked but still remain basically unchanged in form and function since John Browning, and his contemporaries designed them over a century ago. Fast forward, to today, Today there is an assault on the basic rights of every American in the country. What Hitler and his contemporaries couldn’t do from the outside,in the 1940’s and was never quite accomplished in the 1950’s with Joseph McCartney and his witch hunt in the 1950’s if finally starting to be done today. There has been a push to limit the rights and ability of the public to exercise one of their basic constitutional rights , the right to keep and bear arms. There are several items worth noting in the above, One being that the first amendment says what Congress cannot do. The Constitution is the ultimate “Law of the Land” That is to say, whatever other laws congress and the states may pass, they subject in the end to passing the test of the Constitution,; does it follow into the letter of the law, or in the very least spirit of the Constitution, If a law does not fall in line with the above, then its illegal and should be thrown out. However, being that many of the amendments are very broadly written, there is much room for personal interpretation by both officials, and supreme courts. Whenever an elected official takes office, among other things they swear to “Protect and Defend the Constitution of the United States” To my mind that means not introducing laws or ordinances which limit the citizens rights to enjoy their Constitutional rights. To my mind to bring such laws up for vote and worst yet, passing them is essentially treason to the country and should be treated as such. Of course the main theme of this article, is “Gun Control” but the bigger picture is that by limiting the public's right to exercise their rights as given to them by the Constitution they open the door to abusing more and more of everyone's rights. Limiting the public's right to exercise one amendment is opening the door to limiting other right in the long run. There are already cases where, both state and federal governments have used questionable methods to get information and limit the public's rights. If possible to do an end-run around the law, to accomplish their goals of tightening up regulations to get or own a firearm, or especially concealed carry. A number of questions have occurred to me lately; One of the main ones is How does a rich mayor of a city become as influential and powerful as Michael Bloomberg , of New York City? While I lived on the other end of the state for many years, there were many issues in our poor rural agriculture county, Gun Rights, was not one of them. Everyone had a gun, If not specifically for self-defense, but as a pest control and hunting weapon. While on the surface of it, no one want dangerous people to get guns, be the career criminal, or mentally ill. There solution to theses issues, it called enforcing the laws we have in place, and the health system taking responsibility for the patients they have in their charge and doing what is needed for both the patients and publics safety. The Constitution is the basis of all of the laws on which we govern ourselves. Any person or agency that through action, or inaction causes the undermining of the constitution and it provisions is guilty of treason. By bringing up laws that restrict the public's rights to exercise their rights, either through out denial, or making it so arduous and expensive or otherwise impossible for them to reasonably exercise their rights is guilty of the above mentioned treason. New York, New Jersey, Massessatues Colorado, Illinois Connecticut, and California. Theses are the main states which have been trying to enact laws which limit the legal law abiding citizens rights to buy guns, and the places and methods to transporting them, and , in California's case even going to the extent of trying ban lead ammunition , thus effectively banning hunting in the state. Chicago, which has one of the highest crime rates in the country , also has the tightest restriction on getting and gun, and a carry permit in the country. It seems to me, the lesson here, is the tighter the laws, the worst the crime rate is. In states where its earlier to own a gun, and get a permit, the crime rate is considerably lower; doses that tell you something? To sum it up, its not just about the guns themselves, while their important, the bigger issue is the attack on the Constitution, and the bill of Rights, once one is weaken, if not toppled, it won’t take much for the rest to fall. “God made man, But Samuel Colt made them equal" This a quote probably from Colt manufacturing In a world where the bad guys are generally well armed, or at least in a state where reasoning with them isn't going to happen, something else's needs to brought to the table; ie; personal self defense. Personal Self Defense begins with being aware of your surrounding, and potential and possible dangers, and scenario, that could end very badly for you. If at all possible avoiding them is always the best option, however, sometimes there is no other option but to go into a situation that is less than safe in some way. With that in mind, always be looking and thinking ahead. I’m not a personal defense expert, however, I have been watching and listening to a number of self defense shows and taken many of the lessons to heart. In a perfect world, the only things that ever got shot were targets, and animals for hunting for food. However, this is a far less than perfect world. Sometimes, two legged animals need to be dealt with. Also in a perfect world, police would be close at hand to bail you out, the second you called 911. We all know the police are spread far too thin and understaffed and overburdened to do what they would like to, even in metropolitan areas. Much less in rural areas,where they many times only have 3 cars to cover a whole county. Response time can run from as little as 15-20 minutes, to well over half an hour, in some cases a hour, thats with them risking their lives to get there in the dark on a windy country roads. That 15-20 minutes can seem like an eternity, and a lot can happen in that time, Probably a lot has already happened, none of it good. Defending your life, and the lives of your family and loved one can come down to the choices you make now. The right to defend yourself and family has never been question, at least not in principle. However, what is quickly being questioned is what weapons you can use to do that defending. In the light of the recent mass shooting over this last year, there has been a outcry, to do something ,anything. What this has become is a knee-jerk reaction to a very real problem. Make new laws,,, most of them dumb, and don’t solve the problem. The problem in a nutshell, is health system, particularly the mental health side, The NRA has been trying for over 20 years to get a mental health database tied to gun buying background check, to make it harder for people with mental issues to get guns. The other side of the coin is, the mental health system,itself, which passes the patients off among itself, and no one takes responsibility for seeing to it the patient get what it needs, either treatment, or locked up for both their and the publics safety. No one is willing to make those hard choices, and stand behind them. The other legs to this is enforcement. That is enforcement of the laws on the books. And communication between the prosecutor, and the DA and other parties involved, be it the defense, and parole department, to make sure everyone knows if the subject has a record, and what kind of record it is. The problems occur when one leg breaks down; in the case of the recent mass shootings, its usually the mental health system which didn’t deal with theses individuals in a way that was appropriate for them, either serious treatment, and monitoring, or in extreme cases locked up for their own good. and ours. I can understand the cry to do something, however, before we pass more bills that eliminate my right to use the gun I feel I need to protect myself and family, go back and look at the guns in question themselves, and look at the way they actually work, all semi-automatic gun work the same, you have magazine which hold your rounds, you pull the trigger once, one round goes out the barrel. My advice is got get the people who have used these guns,in real life self defense situation, be it in the army, or ar a peace officer to testify as to why they came home that night, most would probably say that AR-15 and the high capacity magazine saved their lives and that of their fellow officers or soldiers. When is facing a unknown number of assailants and the first 2-3 shots didn't discourage them, a federally mandated ban on large capacity magazines is not going to help you when they come breaking in and all you have is 7 rounds maximum . Many times the presence of the gun pointed at the attacker is enough to make them think twice about what they want to do. Of course in some cases shots need to be fired, however, as long as there is clear evidence that the shooter was justified in using deadly force, there's usually not a problem. As for concealed carry, the, more the better. If There's a very good chance that a bad guy going to run into a gun on the other side of the door, or inside a bank or store, or wherever, he was thinking of doing something bad, then maybe he’ll think twice. Here in Virginia we have open carry law, which allows one to openly carry a handgun on their person, without a permit. In the 3 years I’ve been here, I’ve seen 2 people carrying open. No problems. If its obvious that there are weapons around, the criminals will not be in a hurry to start something. A gun free zone is stupid, I can definitely see where limiting or regulating the people who can carry a gun in a zone is needed, however, a completely “Gun Free Zone” is essentially a killing field waiting to happen. If it is necessary to make it a” Gun Free Zone”, then other steps need to be taken to provide for security in that area. Meaning if criminals know the chances of winding up on the wrong end of a gun a very good if you start something, then Maybe they won’t. Us armed law-abiding citizens have nothing to fear from other armed law abiding citizens. Those of you who have followed my blog over the last few years and know me personally, know I rarely take a stand on political issues one way or another. However, the subjects of the article that follows, is something that a vast majority of Americans have in theirs lives in one form or another, guns. Where I grew up in Western New York, It was not unusual for a farmer to have a old .22 and a couple of old shotguns sitting in the closest as many of my family did, But, the time I came around, they were never used. I sure in their day they saw plenty of use. When I lived in Texas, the gun culture was far more prevalent. Many of the pick-up trucks one would see would gun racks mounted to the insides of the back windows, and at least a shotgun, or a rifle of some kind would live there. And no one paid any attention. I have had a .22 rifle most of my adult life and started with BB guns and the like as teenagers. I don't claim to be a expert or marksman of any kind, However, I do enjoy shooting and seeing and handling fine guns. A fine gun is in many respects a work of art, and a display of craftsmanship, which alone can be appreciated . I said all of this as a introduction to the real article I am publishing today. I wanted people to understand where I come from, and , possibly go back and rethink the roles guns have played in their lives. But Now On to the article. Today, I find my myself writing about a subject that is near and dear to my heart. In a Word Gun Control. The news s been almost nothing but the tragedy at the Batman screening last week . The repercussions will be felt far and wide both for the good and bad. As near as I can tell The gunman had all off the-shelf gear that anyone who passed a basic background check can get. I don’t begrudge any person the right to purchase whatever firepower that they feel the need to defend their life and loved one. including him. As much as a tragedy this is, This is a isolated incident and should be treated as such. The fact that they have him alive will in the long run help answers a lot of question. The point is its very easy only cost about 50.00, with the background check, and only takes about 45 day. and the permit is good for 5 years. So as long as you keep your nose clean, and send in the renewal papers every 5 years your good. This bring us to a bigger question . Different states have much tighter processes for getting a ccp, an tighter rules about where you can actually carry it when you finally get it. That not even counting the fact the many states will not honor a ccp from another state while the reverse state will honor it. There have been several instances of people getting it into their head that doing some kind of mass killing spree will make them famous in the last several years. While I understand the initial impact is horrific and terrifying to those involved. My, feeling that keeping it in the news and giving out every little detail only feeds their need to be famous. If they are captured alive in particular, their names and personal details should be buried, as much for the public's sake, who knows all of this has happened, but does not need to be constantly reminded of it every time they turn on a tv. But it also takes the glamour out of committing the crime and having their names in the public face. The factual detail details are all a matter of record to a very large extent. But there's no reason to open it any more then needed. Its entirely possible if he knew there was the possibility that he might be met with armed resistance he would have thought twice about it, but I doubt it from the reports put out so far. So he goes in with a AR-15 semi auto rifle and starts shooting at whoever presents themselves.What if, Suddenly he is is being fired back at from the audience, whom he is trying to kill. Now, at that time no one knows he’s wearing all the body armor, But getting hit multiple times with a large caliber round is going to hurt and possibly give some else a chance to help subdue and minimize the damage and thus change the outcome of the whole situation. I’m not in way suggesting that we go back to the days of the wild west as portrayed on tv on the 1950’s westerns, where everyone wore a gun on the hip for all to see. Sociality wouldn’t tolerate it. However, making it easy for law abiding citizens and responsible people who are trained in how to handle their gun, and the repercussions would go a long way to helping to shop violent crimes in general. Its my contention that if one knows there at least a 50/50 chance he’s going to ment with a gun on the other side of the door he‘s thinking of breaking into, maybe he’ll think twice, is it worth it. The flip side of all of this is the anti-gun camp. They believe that guns are evil and should be banished from everyone but a very select few. Their argument is very simple; Guns Kill, So get rid of the guns. A knife can kill, a piece of rope can kill, hell, even a laptop bashed over someone’s head can conceivably kill. Do We ban all of the above mentioned, just because they have been, or can possibly be used to kill. NO A gun is a tool., Just like a knife, piece of rope, and a laptop. Its all in how their used. What is needed is education starting from a young age, in boy scouts,, which I know have shooting programs, and fathers and grandfathers educating the young people in their lives about the responsibilities of having guns around both in safety aspects, no one wants someone shot accidentally because they didn't know what they’re doing, but in how to handle the firearm, how it works loading running the action, shooting it and being comfortable enough that should the unthinkable happen and they need to defend their lives or their family's life they know how to use the gun.Alway be aware that this is a perishable skill. Meaning, that if one does not practice on a regular basis one will lose what proficiently they ever had, instead of building new skills. I could go on, However, I think that I have stated my case that I am very much pro gun, and pro concealed carry policies that could help changed the ending of incidents like the Batman shooting. and Maintain the freedom of all Americans to own and use whatever firearm they deem necessary for their situation. Its in the Constitution, and It should not be watered down by states passing arcane laws that restrict the carrying of the gun, or the purchase the gun they need for their particular situation. It seems that as the years have gone by, places that were once considered safe and family friendly are becoming more and targets of people like the batman shooter, so carrying a gun where one might not of thought to suddenly becomes a good idea. 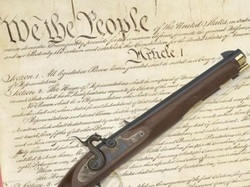 The articles on this page are my ideas concerning the 2nd Amendment, and our right to Keep and Bear Arms.